If you want to search by name, state or any other attribute, you can do so using the “Search” field in the upper right corner of this page. FORT PIERCE, Fla. — A Fort Pierce man was arrested on Monday for identity theft, grand theft and fraud. 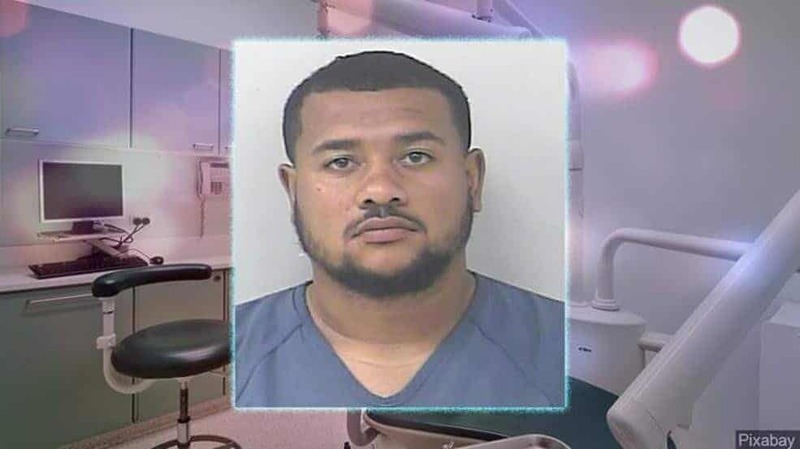 The St. Lucie County Sheriff’s Office says 23-year-old Demetrius Nolen worked for All Smiles Dentistry and it is believed that is how he identified his victims. If you were a patient at All Smiles Dentistry and have noticed unauthorized charges on your credit accounts, please call detectives at 772-462-3230. A Patchogue man tried to break into a Bay Shore dentist’s office Tuesday morning but was found stuck in a roof vent by the staff — three hours later, Suffolk police said. 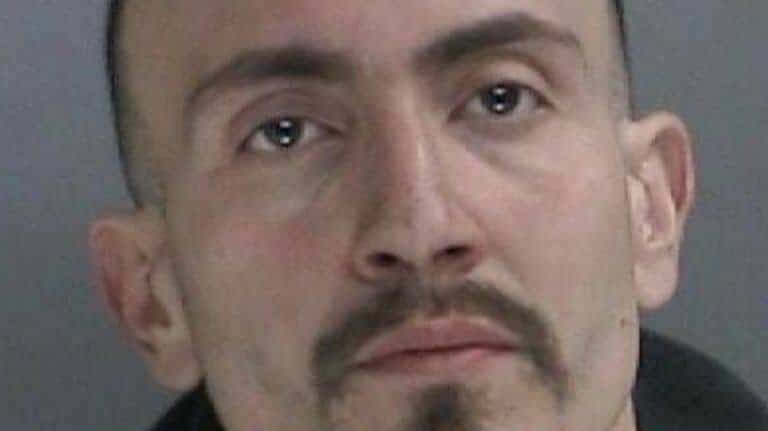 Sean Maranzino, 32, of Montauk Highway, an unemployed HVAC specialist, also was charged with four other burglaries in the past week during which he entered through the heating, ventilation and air conditioning vents on the roof, a clear sign that there was a serial burglar at work, said Third and Fifth precinct detectives. Detectives knew they were looking for someone who was skinny and a bit of a contortionist — the vents twist and turn, said Det. Sgt. Scott Beiter of the Fifth Precinct. But in one case, when Maranzino was trying to bust into an East Patchogue pharmacy Thursday, the ducts collapsed over the Jackson Hewitt tax office next door, resulting in what seemed “like a scene from a movie,” police said. “At some point, even 140 pounds was too much for the ducts to handle,” Beiter said. “He came through the ceiling. … The owner of the place was sleeping there because it was tax season. He heard this crash and confronted him. The guy [Maranzino] kind of made it like he was working on the HVAC system” at 3:45 a.m. He bolted out the back door, police said. Maranzino was arrested after he tried to break into Calderon Dental on Sunrise Highway about 6 a.m. Tuesday and was found by employees who got to work at 9:30 a.m., police said. Emergency services officers had to dislodge him from the ceiling, police said. Maranzino was charged with five counts of third-degree burglary. He took cash, protein bars and lockboxes of cash from businesses, police said. Police said he stole from Vitamin Shoppe on Sunrise Service Road in Bohemia on Friday; High Times Vape on Medford Avenue in North Patchogue about 6:30 a.m. on Sunday, through an unlocked door of a neighboring business before crawling through the ceiling into the vape shop; and Vitamin World on Farber Drive in Bellport some time overnight on Monday. OKLAHOMA CITY – The former office manager of a dentist’s office on the metro’s south side allegedly stole more than $65,000 from her employer who trusted her implicitly. That’s only the amount of money investigators say they can prove. Dr. Christian H. Pilgrim said he’s known Ellen Chidester for about 25 years. For most of that time, she was the office manager where he worked. He said she had complete access to the company credit card and finances, as well as payroll. Not keeping an eye on the bank statements was a mistake he didn’t know he made until a year after she stopped working there. While his wife, Elizabeth, who started working with him, was searching for a specific receipt, they happened upon some odd charges made with the company card. Further inquiry into credit card charges turned into a full-blown investigation by Elizabeth and his staff, scrutinizing all of the charges allegedly made by Chidester. For three months, they searched through credit card statements, called stores to retrieve receipts, and sat on the phone with Amazon.com for hours working to find all the fraudulent charges. 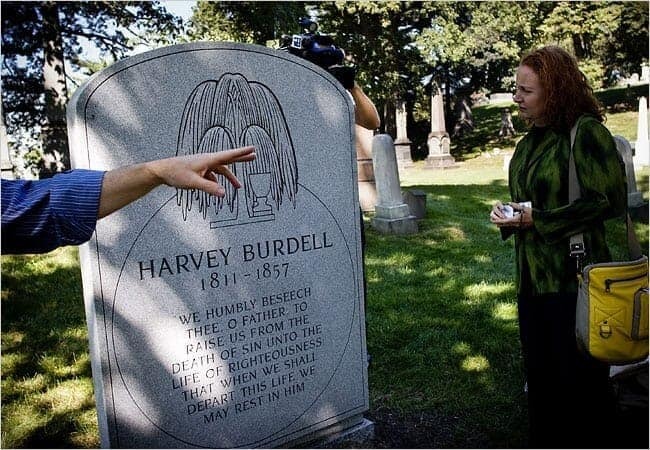 “Everyday I would come in and my stomach would hurt because everyday they would come in and say ‘Dr. Pilgrim, guess what we found. Guess what we found today. Did you know what you paid for today?’” Dr. Pilgrim said. 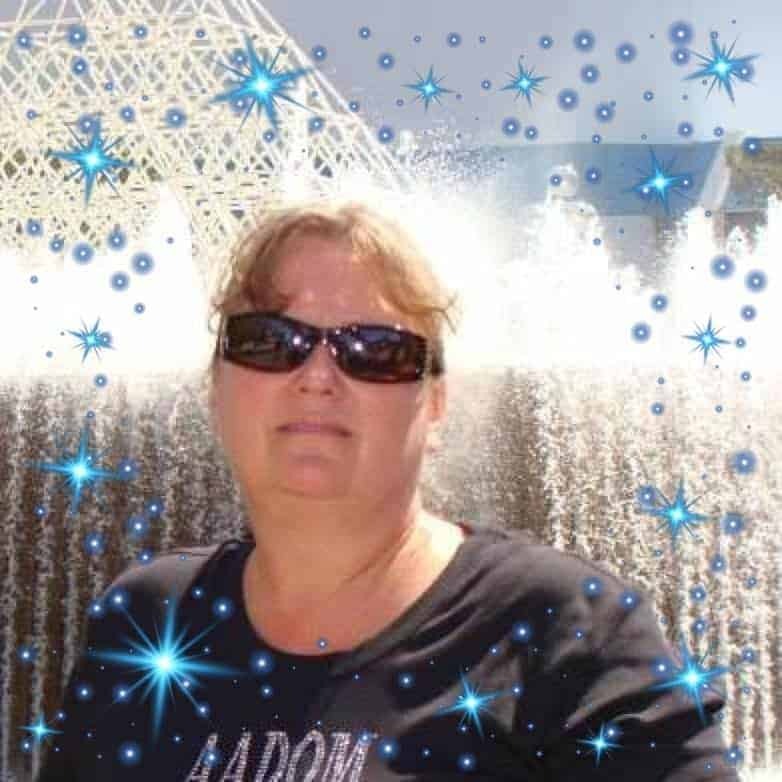 They said they found Chidester used the card to buy all sorts of things, from Disney World tickets, to gifts for her family, lotions, clothes, movies, that she used it to pay for the electric bill for her Shawnee Lake house, and for a family member’s wedding. They could only access credit card statements from seven years back, and they left out any suspicious charges that they couldn’t obtain receipts for to prove she had spent the money personally. “We couldn’t even get a hold of the Walgreens receipts but there were thousands of dollars every December from Walgreens,” said receptionist Jordan Patterson. Ms. Pilgrim also found that Chidester was allegedly overpaying herself in payroll. 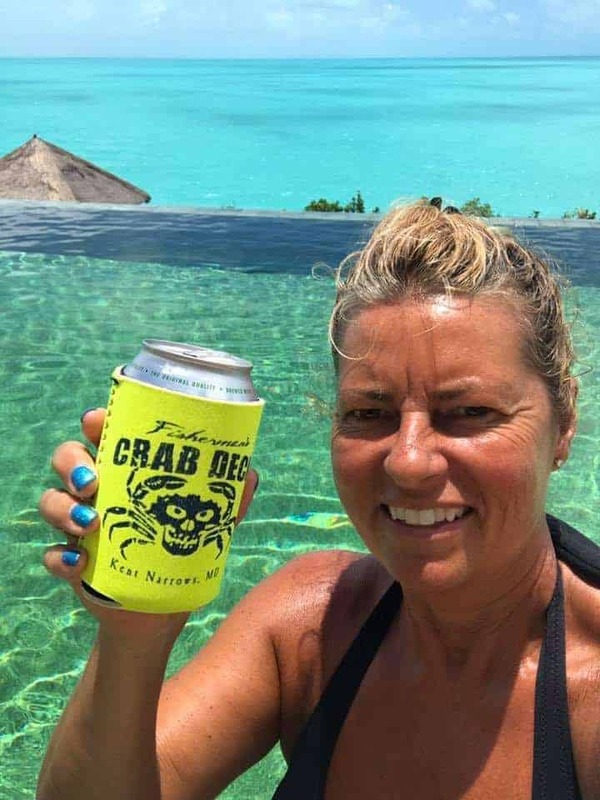 According to court documents, she allegedly spent about $47,870 in personal charges on the company card, and overpaid herself $18,000, $65,870 altogether. News 4 tried to reach Chidester at her home for comment but no one came to the door. She is charged with with two counts of felony embezzlement and has pleaded not guilty. 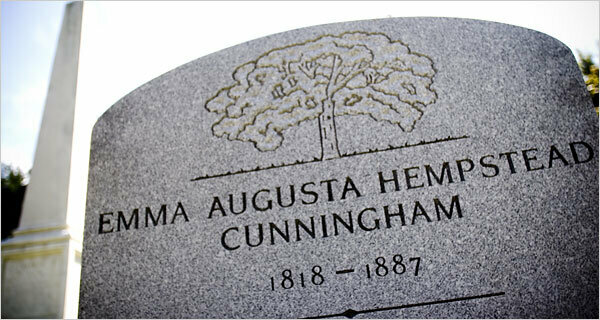 A new headstone marks the burial place of Emma Cunningham, acquitted of killing her lover. SACRAMENTO, Calif. — Three Northern California residents were sentenced today by U.S. District Judge Garland E. Burrell Jr. for crimes relating to their involvement in a mortgage fraud scheme, U.S. Attorney McGregor W. Scott announced. Surjit Singh, 72, of Dublin, was sentenced to 11 years and three months in prison, his son, Rajeshwar Singh, 44, of Pleasanton, was sentenced to 11 years and three months in prison on four counts of mail fraud, four counts of bank fraud, and four counts of false statements on loan and credit applications. Anita Sharma, 56, of Gilroy, was sentenced to three years and 10 months in prison on two counts of mail fraud, two counts of bank fraud, and two counts of false statements on loan and credit applications. Surjit Singh was ordered to pay a $2 million fine, $698,787 in restitution, and $847,000 in forfeiture. Raj Singh was ordered to pay a $1 million fine, $928,287 in restitution, and $838,399 in forfeiture. Anita Sharma was ordered to pay $603,180 in restitution and $30,000 in forfeiture. At least 14 properties were involved in the scheme. Anita Sharma alone purchased five homes in San Jose, San Ramon, Elk Grove, Sacramento, and Modesto. Other straw buyers purchased or refinanced properties in Stockton, Modesto, Patterson, Lathrop and Tracy. All of these homes were ultimately either foreclosed upon or sold in a short sale where the bank lets homeowners sell their homes for less than is owed on the mortgage. According to Marquee, that corporate executive, defendant Nathan Cox, was hired in early January 2016 as the Vice President of Business Development. Mr. Cox was tasked with helping Marquee grow its network. Specifically, Mr. Cox’s duties included developing contacts with practices that met certain financial, geographic, and practice-type criteria, cultivating relationships with potential future network members, and gauging their interest in joining Marquee’s network. Instead of fulfilling his duties, Marquee alleges that Mr. Cox “concealed the confidential and proprietary information Marquee paid him to collect, develop, and maintain for its exclusive use; provided information instead to multiple Marquee competitors—while still employed by Marquee—in an effort to land a higher paying job; and deleted nearly all of his [8,200 emails] on his way out the door.” Marquee claims Mr. Cox abruptly left the country shortly thereafter. Marquee recovered Mr. Cox’s deleted emails and allegedly found that, despite his obligations, he withheld acquisition pipeline information from Marquee. For example, Marquee alleges that one list of potential leads that Mr. Cox sent Marquee included twelve fewer leads than he alluded to in emails to Marquee’s competitors. Marquee brought its claims under the DTSA which was signed into law effective May 11, 2016. In order to prevail in their DTSA claim, Marquee will first need to establish that the information Mr. Cox collected were Marquee’s trade secrets. Then, Marquee will need to establish that Mr. Cox’s activities amounted to the unauthorized disclosure of Marquee’s trade secrets. Though these elements are familiar under state laws, with less than two years on the books, how the DTSA will be used by Plaintiffs and applied by courts is still to be determined. If you’re a regular reader, you know we have been keeping our eye out for developments with respect to the DTSA and will continue to do so. In the meantime, a key lesson can already be gleaned from this case: Trade secret owners must be vigilant. Even trusted executives can misappropriate. NORRISTOWN — A former patient care coordinator for a Towamencin dental practice likely isn’t smiling as she fights charges she allegedly gave unauthorized dental discounts to a boyfriend and other customers. Michele K. Olinger, 49, of the 100 block of Susquehanna Avenue, Lansdale, who is accused of bilking nearly $13,000 from North Penn Dental Arts between 2001 and 2011, filed papers in Montgomery County Court asking that theft-related charges be dismissed against her on the grounds that prosecutors failed to present sufficient evidence during a March preliminary hearing and that the charges were filed in violation of the statute of limitations for the alleged crimes. “The commonwealth failed to present any evidence whatsoever that the defen- dant acted with an intent to deceive or to defraud,” defense lawyer Judith L. Watts wrote in court papers filed on Wednesday. Watts also argued that prosecutors failed to present any evidence that Olinger lacked authority to use the company’s computer system or exceeded the authority given to her use of the computer system. Watts claimed the statute of limitations for the alleged crimes expired between 2006 and 2009 and therefore the charges should be dismissed. Prosecutor Erik Crocker will have the chance to address Olinger’s requests when a judge schedules a pretrial hearing on the matter. A hearing date has not yet been scheduled. 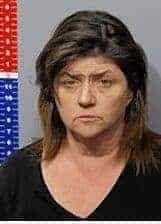 In the meantime, Olinger remains free on $10,000 unsecured bail while she awaits trial on charges of theft of services, theft by deception, forgery, tampering with records, computer trespass and unlawful use of a computer. If she’s convicted of all the charges at trial, Olinger faces a possible maximum sentence of 20 to 40 years in prison. Olinger has pleaded not guilty to the charges. 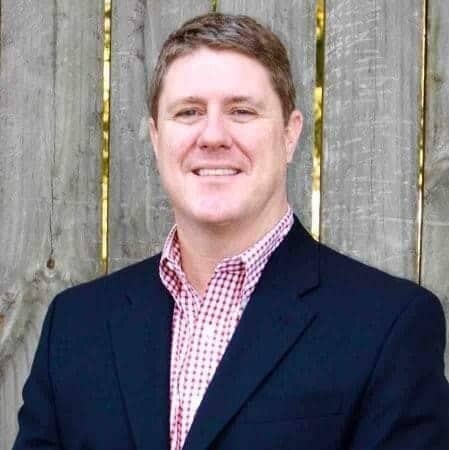 An investigation of Olinger began in September 2011 when the co-owner and managing director of the dental business located in the 1500 block of Sumneytown Pike reported the alleged thefts that occurred between March 2001 and June 2011. Olinger began her employment with the company in June 2000, court papers indicate. The business, detectives alleged, had a policy that stated that only spouses and dependent children of employees were provided a 50 percent discount. All other discounts were to be approved by a company co-owner, detectives alleged. Between March 2001 and June 2011, Olinger “would provide unauthorized discounts to patients” that defrauded the business of $12,922, according to the arrest affidavit. According to patient billing records, “these discounts were given to Olinger’s boyfriend and family members of the boyfriend or Michele Olinger,” Wittenberger alleged in the criminal complaint. The discounts were not authorized by the co-owners of the business, detectives alleged. Illinois woman charged with embezzling $600k from practice. Husband charged also. A woman who worked as a receptionist and bookkeeper for an Arlington Heights dentist was charged with aggravated identity theft, financial fraud and theft for, authorities allege, stealing more than $600,000 from her employer over about six years beginning in 2009. Charged along with Caren Irsuto, 56, was her husband Scott Irsuto, 58, who faces theft and financial fraud charges. In setting Caren Irsuto’s bond at $600,000, Cook County Judge Marc Martin seemingly referenced the money authorities say she stole. Martin ordered Scott Irsuto held on $28,000 cash bail, the loss authorities attributed to him. Each must post the entire amount to be released from custody. He brought in a consultant and relieved Caren Irsuto of her duties, Crothers said. On a subsequent Sunday when the office was closed, the dentist and his wife drove by the office and saw Caren and Scott Irsuto in the parking lot, Crothers said. When the dentist called Irsuto to ask why, she denied being there, Crothers said. The dentist never saw her again. Meanwhile, an internal review showed “inconsistencies between accounts received and insurance reports,” Crothers said. The dentist eventually discovered Caren Irsuto failed to deposit 1,464 checks totaling $625,526.23, she said. The checks, made out to the dental practice, came from 98 different insurers and dozens of patients, Crothers said. Each bore the endorsement of the dentist, who told authorities he did not sign any of the checks. Scott Irsuto next appears in court on March 27. Caren Irsuto appears in court on March 29. Heidi is currently awaiting her trial for embezzling from a Spokane dentist. We hear that she may have moved to Idaho and gotten married. She may now be using the last name Capaul. A University of Kentucky dean who was removed after UK settled a contentious lawsuit filed by one of his underlings has now sued the school himself, accusing officials of retaliating against him for reporting problems at the College of Dentistry, such as the theft of gold dental crowns. Late last year, UK settled a lawsuit with Raynor Mullins, a long-time dental professor who accused Kyrkanides of firing him after he criticized Gov. Matt Bevin’s proposed changes to Medicaid. UK paid Mullins more than $620,000 and gave him a new position. A few weeks later, UK announced that Kyrkanides was out as dean, but would return as a tenured faculty member after a one-year sabbatical. UK did not give a reason for the demotion at the time. ▪ A departmental deficit of almost $2 million because clinical faculty were being paid salary supplements based on gross revenue from clinical services, not net revenue. The lawsuit alleges Provost David Blackwell and other officials did nothing to address the dean’s concerns. ▪ Last summer, the lawsuit says, Kyrkanides forwarded to Blackwell allegations that College of Dentistry employees were stealing gold crowns and selling them, or converting them to gold coins. An internal investigation confirmed the theft, the lawsuit says, but the provost’s office did not address it. Kyrkanides also contends he was retaliated against because he supported a group of minority students who said some faculty members discriminated against them. The lawsuit says Kyrkanides also filed a complaint with the UK Office of Institutional Equity and Equal Opportunity against Blackwell for harassment. In a statement, UK spokesman Jay Blanton said the allegations are without merit. Citing a state whistleblower protection law, Kyrkanides’ lawsuit demands that he be reinstated as dean and get $7.5 million for humiliation, and a further $10 million in punitive damages. H. Wayne Roberts, a Lexington attorney representing Kyrkanides, said the case has nothing to do with the Mullins settlement. UK faculty has sued UK and a Bevin administration official for what he calls retaliation for criticizing the governor’s Medicaid waiver proposal.